At an age when most players start to decline, Alex Ovechkin just keeps getting better. Indeed, the Washington Capitals’ 33-year-old left winger is having arguably his best season, racking up a league-leading 29 goals through the season’s first 35 games, thus putting him on pace for a 68-goal season, while setting a new career high with a 14-game point streak. 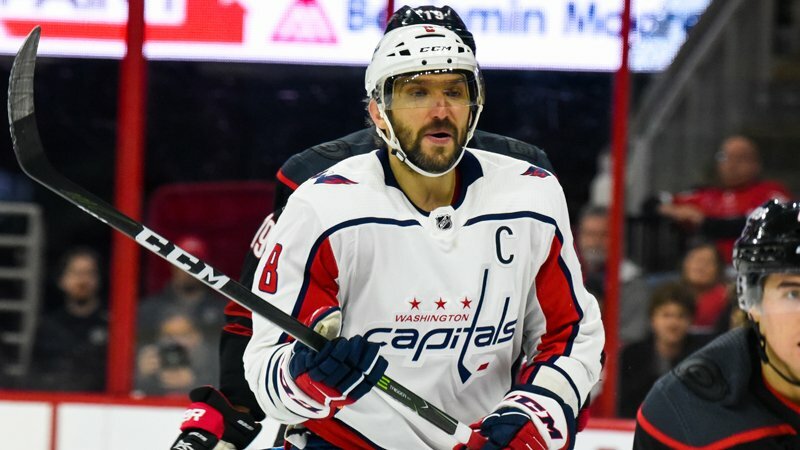 This following a 2017-18 campaign that saw him score his 600th career goal, lead the NHL in goals (49), win the Conn Smythe Trophy as playoff MVP and help propel the Caps past the Las Vegas Golden Knights in five games in the Stanley Cup Finals. His teammates, needless to say, are in awe at Ovechkin’s continued brilliance. “Such a hungriness to score goals,” Brett Connolly observed. “A once-in-a-lifetime goal scorer,” T.J. Oshie said. But it turns out the Great 8 also has a fan in the Great One, Wayne Gretzky. With 636 goals (and counting) three months into in his age 33 season, Ovechkin would need five 50-plus goal seasons to threaten Gretzky’s all-time mark of 894. It’s not an insurmountable task if he manages to stay healthy, and Gretzky for one is rooting for him. Ovechkin and the Caps can be seen in action twice this week: Sunday, Jan. 20, on NBC, visiting the Chicago Blackhawks; and Wednesday, Jan. 23, on NBC Sports Network, at the Toronto Maple Leafs.